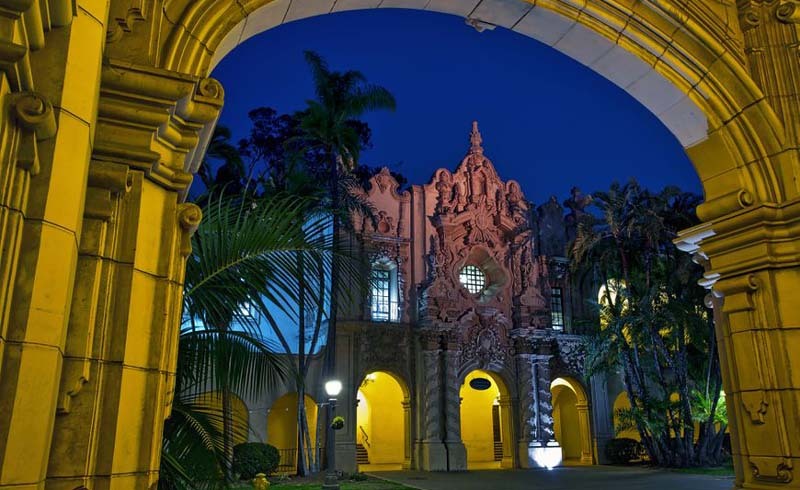 If you're looking for something to do on a summer night in San Diego, you'll find lots of things to do in California's southernmost city. With mild summer weather and nights cooled by ocean breezes, San Diego has beautiful summer days and nights—and plenty to do when the sun sets late and evenings are warm. 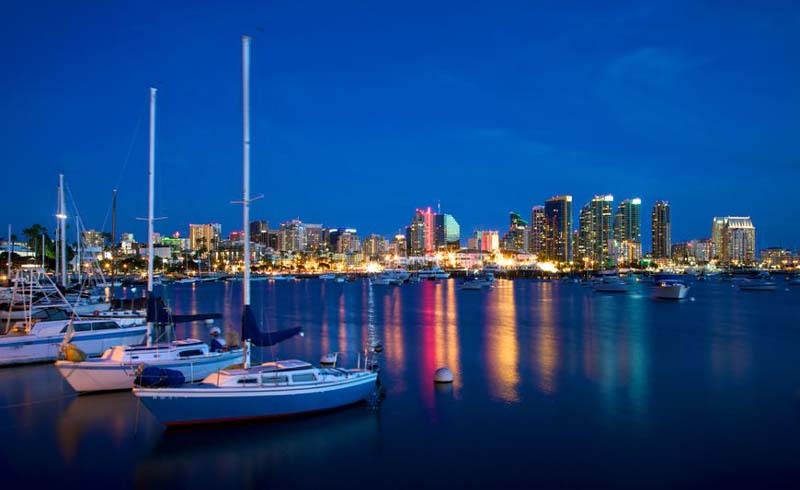 On the simple side, you could go for a stroll along the waterfront in Coronado or on the mainland waterfront. Or you could find a nice San Diego beach where you can sit and watch the sunset. The ideas below aren't a list of all the things you could do at night in San Diego. It's not a list of all the things you could do there in summer, either. Instead, these ideas are things you can only do in the summer months or things that are significantly better or more fun that time of year. 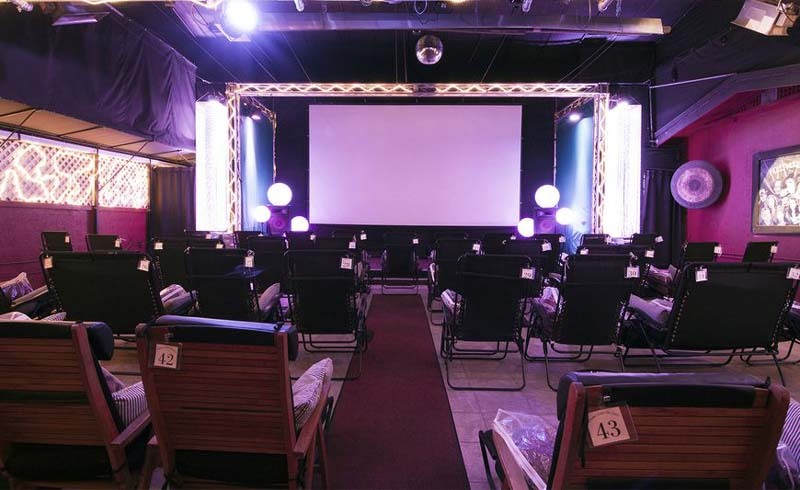 San Diego actually has a still-functioning drive-in movie theatre, and you'll also find some other fun ways to enjoy a film al fresco. South Bay Drive-In: A real, old-fashioned drive-in movie theatre, with three screens, showing new releases. Cinema Under the Stars: In Mission Hills, they show classic films outdoors. The seating is comfy (recliners), and if you feel chilly, they provide blankets. Dive In Movies at the Pearl Hotel: The Pearl is not only one San Diego's most fun budget hotels, but they also screen movies beside their swimming pool ("dive in" movies) on Wednesday nights. Their restaurant is excellent, too. Summer Movies in the Park: These free neighborhood events happen in county and city parks all over town. Second Saturday Cinema: Held at Liberty Station, this curated series is a partnership between Arts District Liberty Station and Pacific Arts Movement. You can grab dinner or get some picnic items at the Liberty Public Market and catch a free movie on the lawn next door. There's nothing much more pleasant than a concert by a favorite performer, held under the stars. You'll find several to choose from. Humphreys by the Bay Concerts: A great list of headliners and a beautiful location near the marina makes Humphreys a summer favorite. San Diego Symphony Bayside Nights: Don't let the word "symphony" fool you. The headliners for this concert series won't be performing the Concerto in G Major. Past performers have included Neil Sedaka and Wilson Phillips. "Green Flash" Concerts: The name refers to the flash of green light that is sometimes seen just as the sun sets. The concerts (for ages 21 and up) are held at the Birch Aquarium in La Jolla, on Wednesdays. San Diego Concerts in the Parks: San Diego may have the best city parks in the state, and a bunch of them are the site of some enjoyable summer concerts. If you've never been to a live stage play, summer's a good time to try it. If you don't like the show, you can count the stars overhead. 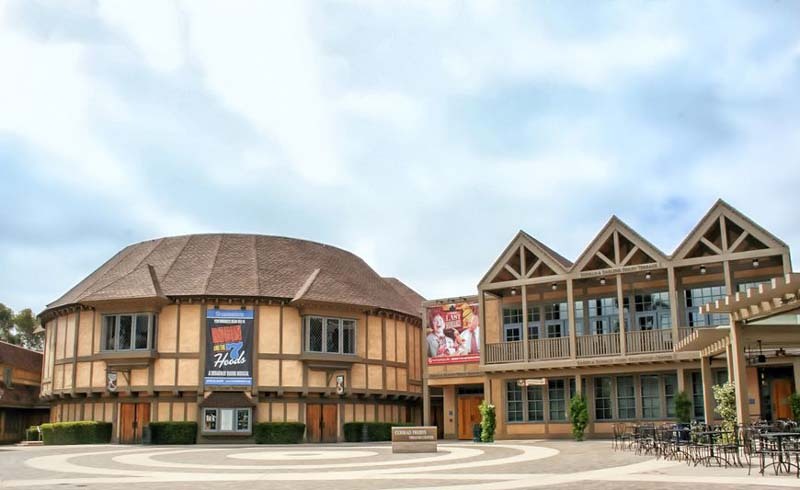 Old Globe Theatre: Don't let the name fool you. The Old Globe does Shakespeare, but they perform a lot of other great stuff, too. Moonlight Stage: The Moonlight Stage calendar includes a lot of musicals, and you can make a night of it in one place: they offer a pre-show dining option. San Diego's most popular tourist attractions add extra fun during the summer, making it a great time to visit them. Nighttime Zoo: The San Diego Zoo's annual nighttime celebration features shows and lots of activities. They're open late from the end of June through Labor Day. Sea World Summer Nights: Sea World sets off fireworks every night in summer, and they offer special evening shows. They are open later in summer, too. 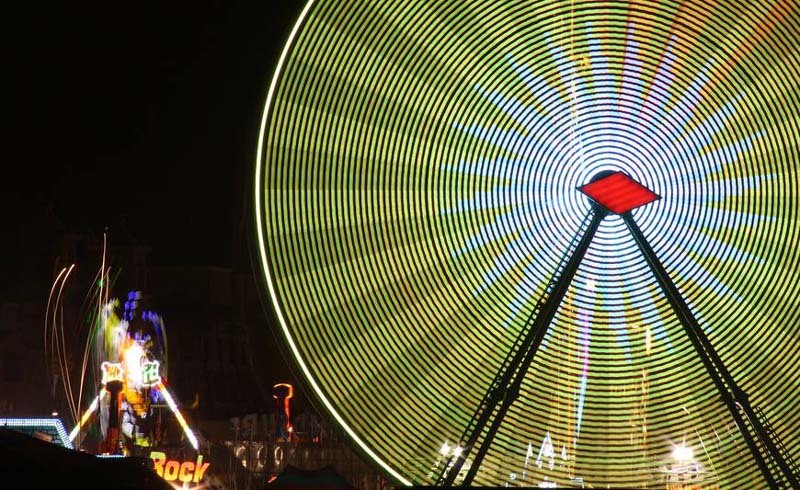 San Diego County Fair: The county fair happens during the day, too, early June through early July - but we think there's something uniquely appealing about going at night. Watch a Padres Game: The Padres' pretty downtown baseball stadium is a great place to watch a night game. If you don't like them, go anyway and root for their opponents. See the Grunion Run: Grunion are fish, and obviously, they don't really run on two feet, but they do put on quite a show when they come ashore to spawn during the full moon (or the new one). See the Red Tide Glow: During the day red tides can be an unpleasant sight and smell. But at night it can be magical. Tiny organisms glow with an electric-blue color when they are moved. Whan a wave crashes at night, so many of them do that at once that you can see a brilliant flash of light lining the wave's crest. Beach Bonfires: They're a fun summer tradition in San Diego, but if you're visiting from out of town it's hard to figure out exactly how to do it. If you’d like to have all the fun of one without the hassle, check out the Beach Fire Guy. They’ll set up your fire, and all you have to do is enjoy it. 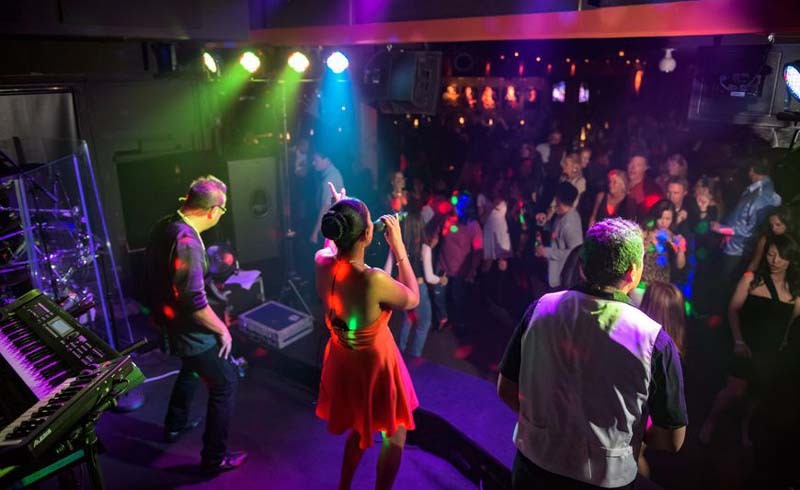 There's a lot more to do in San Diego, day and night. You may want to start by finding out why you should skip some places you've heard about. 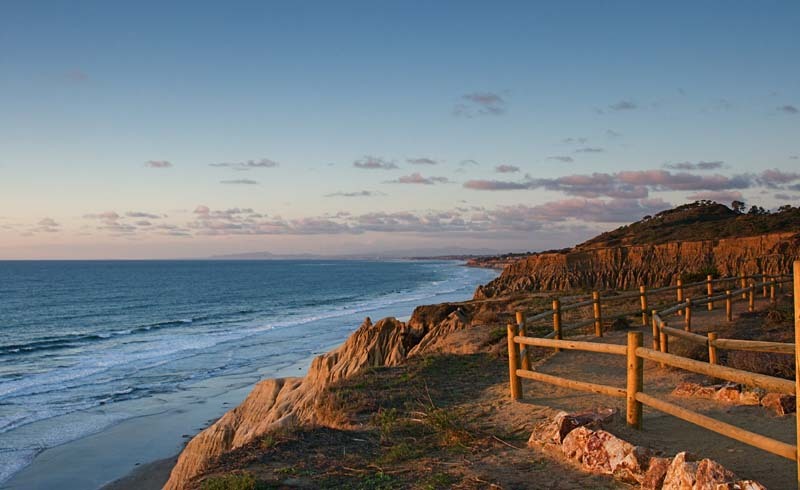 If you're a contrarian traveler who seeks out the undiscovered spots, then don't miss these 9 things you didn't know you wanted to do in San Diego. Even though San Diego weather is mostly sunny, it might rain in the winter. 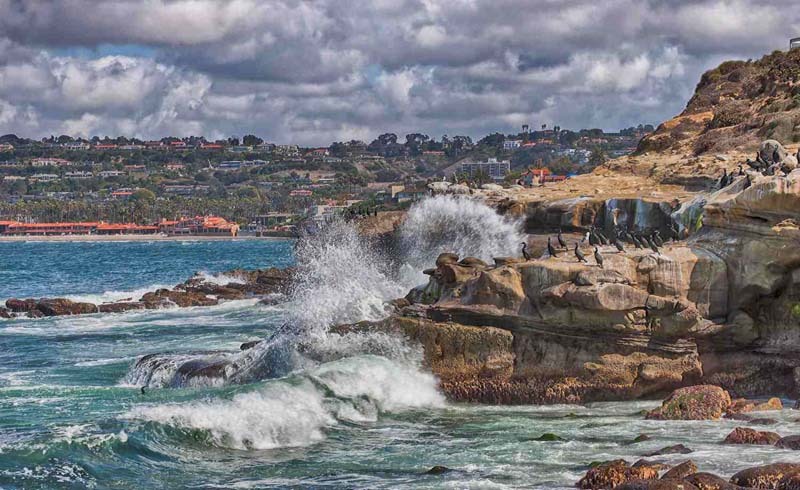 Here's what to do in San Diego if those raindrops start falling on your head.